If you’re wondering why Millennials are reportedly killing everything from the diamond industry to paper napkins, the answer might be found, not in an artisanal coffee shop, but at next month’s Consumer Electronics Show in Las Vegas. Evidence of radical transformation will be on display as a consumer economy becomes an experience one. This will have profound implications for anyone trying to harness the power of the public. One thing I like to keep in mind is that we’re in the middle of epochal change. The pace of change is breathtakingly quick and easy to notice these days, but the scale of it is hard to contemplate. The human mind views each change as a complete cycle rather than as, say, one car in a bullet train. Remember Moore’s law, which holds that the number of transistors in a dense integrated circuit doubles about every two years. Each doubling is a big change. The fact that it keeps doubling is a transformation, and I think this one is far from over. Our society’s perpetual shock at the decline of consumerism exemplifies the difficulty of determining our location in this transformation. Google “Millennials are buying less” and you’ll discover that they are buying fewer cars, diamonds, homes, and, in fact, less stuff overall despite rising incomes. Student debt partially explains that, but there’s clearly a generational divide between those who grew up watching Gordon Gecko and their children, a majority of whom want to change the world and start their own businesses. How much and what kind of stuff you have now signifies less about one’s life than living conscientiously. 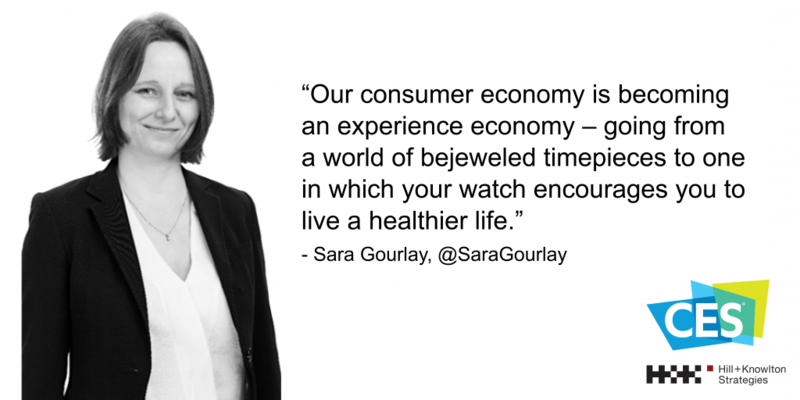 Our consumer economy is becoming an experience economy—going from a world of bejeweled timepieces to one in which your watch encourages you to live a healthier life. Nowhere is that more evident than at the Consumer Electronics Show, envisioning a world where people give voice commands to their kitchen appliances, AI-infused robots learn, and people next to you on the subway play immersive, augmented-reality video games. Yes, these are consumer electronics, but they are creating—and transforming—experiences. No one expects the pace of change to slow anytime soon. As this transformation continues, businesses reliant on a consumer economy need to not only change their plans, but plan to change. Again, this is the hard thing for humans to understand. When a tech gadget amazes you, the temptation is to forget Moore’s law and outfit your world with Betamaxes, pagers, and iPods. Instead, the smart play is to recognize that each change plots a line toward a revolution in how we experience our world. The danger at CES is to mistake a signpost for the end of the line, misjudging one’s place on the continuum because of an outdated perspective. Keep in mind that the latest thing at CES is less about the thing than about the experience. That’s what we’re seeing—even if we’re not fully understanding it—right now. Conspicuous consumption as a generational trait is something that could die off as the Millennials grow into positions of leadership, an idea on full display in, of all places, Las Vegas in January.